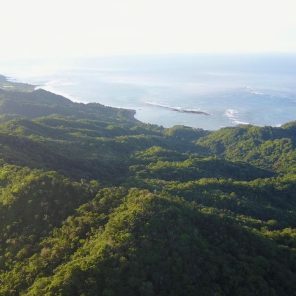 Teyuna Highlands is raw, undeveloped land located in the middle of the Azuero Peninsula of Panama. The property consists of four farms totaling 300 acres/123 hectares of stunning ridge lines, wildlife, green fauna, and unparalleled views. At the moment there are no roads, electricity, or running water to the property. However, Los Buzos, a resort/marina with full amenities, is less than a mile away, so continuing power to the farm won’t cost much time or money. As far as water goes, wells are common here and easy to dig. 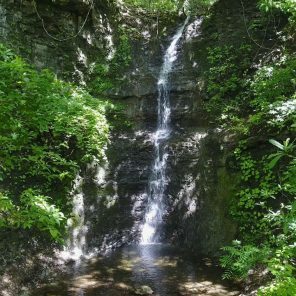 With hundreds of possible home sites and for the interested developer, this is an opportunity to get in on the ground floor of a serious boom. The nearby 20-room hotel, Hotel Playa Cambutal, is continually booked for weeks at a time. 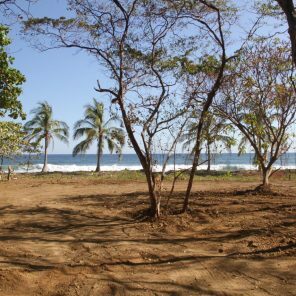 Included with he purchase of Teyuna Highlands are three beachfront lots situated at Punta Horcones, which lies less than a mile down the road from the larger property. These lots can be used for personal and/or community use, separately or together. 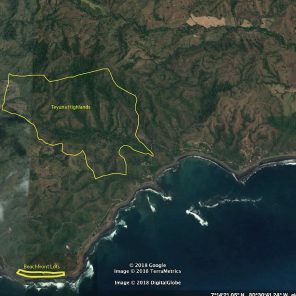 There are also more beachfront lots in Teyuna Village, sold separately for $12 per square foot, or $120 per square meter. And, at Punta Horcones are the best surf breaks in the area: Indicator, Dinosaurs, and 411. 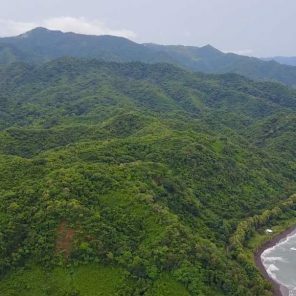 Cambutal is the new, up and coming hot spot for surfers and deep sea fishermen alike in Central America. For just over a decade, people have been buying up the beach front surrounding areas of Cambutal. In that time, the town has gone from a sleepy little town and fishing village to a growing tourist and traveler destination. With a number of hotels, bed and breakfasts, house rentals, restaurants and even a yoga retreat, Sansara Resort, ex-pats have begun laying down a solid infrastructure from which to build a solid, thriving community. 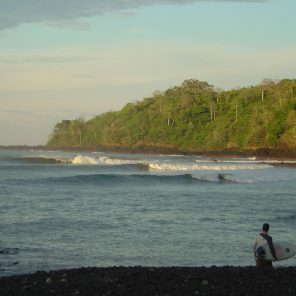 Surfing in Cambutal is one of the biggest draws to the area. Along with the spots at Punta Horcones, there is a decent beachbreak in front of Hotel Playa Cambutal, and a pointbreak that sits six miles to the west. 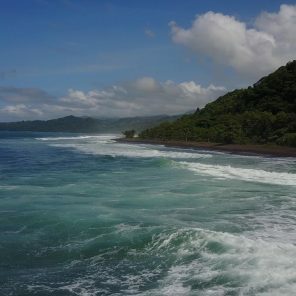 The next closest surf spot to Cambutal is Playa Venao, located about an hour away. Within the last decade, Playa Venao has gone from a few little cabins on the beach to a full surf community. Playa Venao Hotel Resort is just one of the resorts that have sprung up there, along with a number of private housing developments. In Tonosi, about a 30-minute drive from the property, one will find a few small restaurants, grocery stores, gas stations, a police station, etc. Horcones Highlands, located about five miles away is a larger village featuring a few small restaurants, stores, and bars. There is even a Centro de Salud (health clinic) for minor health emergencies. About two hours from Cambutal are Chitre and Las Tablas, the two closest major towns to get most modern comforts (McDonalds, big grocery stores, health food stores, etc). Also a brand new, massive hospital just opened up in Chitre earlier this year. Teyuna is approximately a six-hour drive southeast of Panama City, a major metropolis. Overall, Teyuna Highlands is prime for the developing. The surrounding area has established a nice infrastructure and a solid buzz. 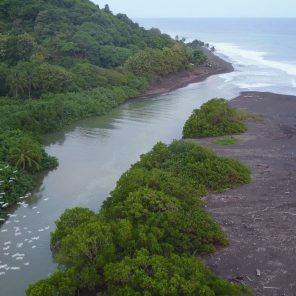 This area of Panama is on the cusp of becoming a major surf community and travel destination within the next ten years. $3,300,000 OBO. For serious inquiries, please contact Brad Martin at brad@teyunavillage.com.